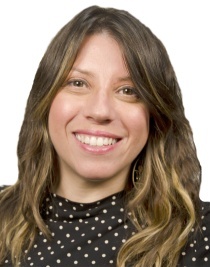 NEW YORK: Kaplow Communications consumer lifestyle SVP Margarita Miranda-Abate has joined MSLGroup's New York office as SVP in the personal care practice. Miranda-Abate, who worked at Kaplow since February 2011, is leading the North American and global efforts for Procter & Gamble's oral care business, which includes the Crest, Scope, and Fixodent brands. She is reporting to Katie McCue, SVP in the personal care practice. The unit is led by Denise Vitola, practice director for consumer health and personal care at MSL New York. Vitola was promoted to that role from personal care deputy practice director in May, and she leads a team of 45 staffers. Miranda-Abate said in an emailed statement that MSLGroup “has some of the world's most exciting and attractive global portfolios of work” and that she looks forward to joining the firm. During her time at Kaplow, Miranda-Abate was in charge of the firm's lifestyle group, which was comprised of beauty, fashion and accessories, and consumer products. She worked with a wide range of clients, including Unilever, CVS/pharmacy, Timex, Carter's, OshKosh, Kellwood, HauteLook, and Cosmetic Executive Women. Prior to Kaplow, Miranda-Abate served as a VP at Ogilvy PR for a year and a half. Before that, she was the owner and president of MMA Strategic Communications from March 2006 to August 2009. She has also worked at DeVries Public Relations, Edelman, and LaForce+Stevens. Miranda-Abate has joined MSLGroup in the midst of the agency, and its holding company, Publicis Groupe, going through a $100 million class action discrimination lawsuit. The suit alleges gender pay discrimination and offensive remarks and behavior by male executives directed at female employees. On August 16, plaintiffs in the case sent notices inviting other women to join the lawsuit.